The original outrigger canoeing and SUP web-store since 1994. We use PayPal and PayPal Credit Card processing. A PayPal account is not required. It's easy and safe. Prices are in 'British Pounds Sterling', inclusive of packaging / shipping via air mail. Purchase book 'combos' and save! Scroll down to find . . . IMPORTANT NOTE RE SHIPPING: Our larger books are heavy and we're careful to only add on cost of shipping (air mail) + £1 for packaging and this is INCLUSIVE OF THE PRICE SHOWN. All books are currently mailed from the United Kingdom. All orders are packaged and handled by Mandy. IMPORTANT NOTE: We can provide proof of posting for all book orders. Please let Mandy know within 2 weeks if you have not received your book/s. In the unlikely event that your Book/s have gone missing, we can replace for a small fee, postage will need to be paid in full along with an additional fee for your book/s being tracked or signed for. Thank you for your understanding. Packaging: We use biodegradable corrugated cardboard cushion wraps or boxes. Please note, postal service to this region is often unreliable. We recommend using Air-Sure or I.S.F (International signed for) which we can arrange for you. Please contact us for more information. PLEASE SELECT GEOGRAPHIC REGION WHERE ORDER IS REQUIRED TO BE SENT. For discounted 'combo' orders, scroll down. At 510 pages, this is a substantial publication. Not just a few token paragraphs about how to paddle, what paddle to consider, but pages and pages of in-depth information suitable for even for the most seasoned professional SUP educator or paddler. In covering technical, historical, cultural and evolutionary perspectives and plenty more, this book sets the bar at a new level. ISBN 978-0-9574664-0-1 Prices are inclusive of p&p no more to pay. More info. You can now purchase and read our KanuCulture Publications using ISSUU's on-line reader and their mobile app. Once you purchase one of our publications, you will be able to access whenever you wish. For PAPERBACK COPIES, see below. 426 pages, it could be 600, but we've jammed it edge to edge with technical, historical and cultural information worthy of inclusion at the University of Hawaii, University of the South Pacific and recommended by the Lonely Planet Guide books to the Hawaiian Islands. With contributions from some of the sports most respected ambassadors, if you love your sport, this book will get you in deeper than you ever thought possible. ISBN 978-0-9574664-1-8 Prices are inclusive of p&p no more to pay. More info. 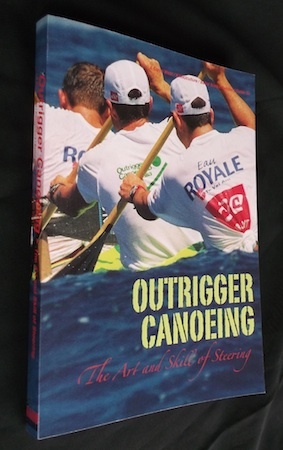 The steerer's role is the most critical within the context of any team based outrigger canoe, that's why we've devoted an entire book around the subject. Used both in Hawaii and in parts of mainland USA as the basis around which steering courses are run by clubs and individuals, this publication is like having your own personal coach, each chapter and topic set out in easy to follow format, with input from the worlds best. ISBN 978-0-9574664-2-5 Prices are inclusive of p&p no more to pay. More info. 306 pages. Ownership of an OC1 permits many benefits for the paddler, not least of which the option to train when you want without the need for others in the case of also being part of an OC6 or V6 crew. The benefits are far reaching and there are significant cross-flow affects into that of team-canoes, both in raising skill levels, fitness and ultimately for the purposes of crew selection, to which coaches will often resort as one of a series of mechanisms. This book is very probably over-due by a considerable number of years and in some sense the sport has certainly seen a peak and levelling off over the past ten years or so, but today in 2014, there's every reason to sense that the sport is once again experiencing a surge of renewed growth as it reaches ever newer gene pools far from the sports roots and origins. ISBN 978-0-9574664-4-9 Prices are inclusive of p&p no more to pay. More info. 292 pages of technical information mixed with some historical perspectives, this is the first book on the subject every produced. The complexities which V1 paddling can present on account of being rudderless and its asymmetrical geometry, may well combine to make it one of the most challenging paddle craft to master. With Tahitian mastery of the craft, an accepted cultural reality, the isolation of these beautiful and mysterious islands is a summation of the sport itself, a beautiful graceful art when perfected, but for the most part, something of a mystery as to how to make it so. ISBN 978-0-9574664-3-2 Prices are inclusive of p&p no more to pay. More info. Outrigger canoeing and steering book 'combo' savings package. Inclusive of p&p no more to pay. Outrigger canoeing and stand up paddle book savings 'combo' package. Inclusive of p&p no more to pay. Stand up paddle and steering book 'combo' savings package. Inclusive of p&p no more to pay. 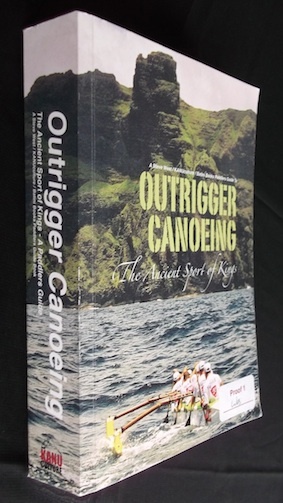 'Trilogy' of outrigger canoeing, steering and stand up paddle book savings package. Over 1000 pages of reference and over 2500 images and illustrations. Inclusive of p&p no more to pay. OC1 and V1 book 'combo' savings package. V1 and OC6 Steering book 'combo' savings package. OC1 and OC6 Steering book 'combo' savings package. V1 and OC6 book 'combo' savings package. OC1 and OC book 'combo' savings package. V1 and SUP book 'combo' savings package. OC1 and SUP book 'combo' savings package. V1, OC6 steering, OC6 book 'combo' savings package. 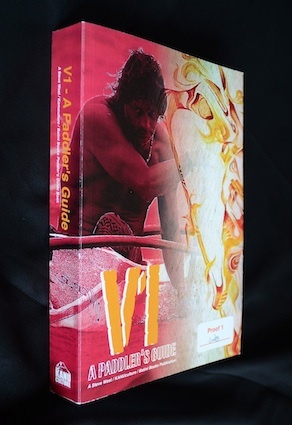 V1, OC6 and SUP book 'combo' savings package. OC1, V1, OC6 Steering book 'combo' savings package. OC1, V1, OC book 'combo' savings package. OC1, V1, SUP book 'combo' savings package. OC1, OC6 Steering, OC book 'combo' savings package. V1, OC6 steering, OC6 and SUP book 'combo' savings package. OC1, OC6 steering, V1, OC book 'combo' savings package. OC1, OC6 steering, V1, SUP book 'combo' savings package. OC1, OC, V1, SUP book 'combo' savings package. OC1, OC, OC6 Steering, SUP book 'combo' savings package. OC1, OC, OC6 Steering, V1, SUP book 'combo' savings package.